Nokia could be seriously considering to venture into the phablet market. It is rumored that by end of September the former giant will launch what is said could be its last brand of Lumia phones. 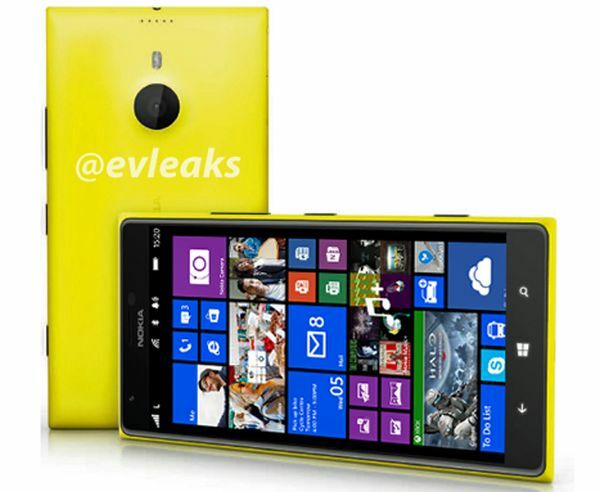 Leaks have surfaced from @evleaks regarding a 6 inch Lumia 1520 code-named Bandit. The giant device is expected to include a 6-inch display and 1080p screen, and will also include a Qualcomm quad-core Snapdragon processor running the latest version of Windows Phone 8. The UI of the latest Windows 8 has been altered to include additional column of Live Tiles on the Start Screen. A rotation lock, Driving Mode option, and other minor alterations are part of the update. The image above shows what’s evidently a larger than usual Windows Phone, with enough screen to display 11 by 6 rows of icons. The Lumia 925 version has 7 by 4 row of icons. The image also shows that probably the Bandit could feature a 8.7MP camera found on Lumia 925 instead of the Lumia 1020’s PureView camera that boasts of 41MP. Earlier leaks suggested that the camera could be a 20MP. We wish Nokia all the best in the phablet market dominated by Samsung Notes. We will give you full phone specs immediately the phone is launched. Keep it here. Adobe Photoshop now available for Lumia users.